You are here: Home > Blog > Energy, sustainability & economics > Coppice and wood pasture. pollardAfter the last Ice Age, plants, animals and humans moved back into the vast areas vacated by the retreating ice. 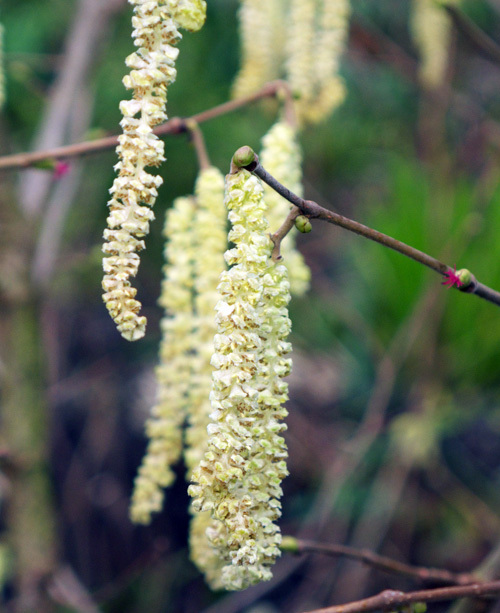 Plant, and then, animal communities became established and much of the area was covered by what has been termed ‘wildwood’ – see previous Wildwood blogs. These areas would also have been home to human populations migrating from the hinterland of Europe and Doggerland. Communities developed and we may suppose that areas of forest/woodland/wild wood would have been cleared - for housing, the grazing of animals, to provide firewood/timber. Such forest / woodland would have been managed to a greater or lesser degree. When and where trees were cut down, the cut stumps would have regenerated – throwing up several or many new shoots, which within a few years would give long, regular shoots or stools (of relative evenness and straightness). These could have been ‘harvested’ to provide poles for shelter/housing, basic tools – from this, it is but a short step to the deliberate felling of many trees (giving an immediate timber yield) followed by a multitude of poles/stools in subsequent years. The practice of cutting back the trees to stumps and allowing stools to develop (i.e. 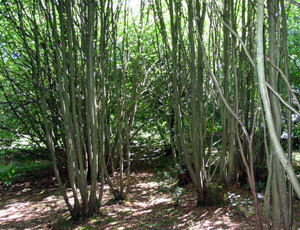 coppicing) is probably quite an ancient practice. Evidence for this may come from the systematic use of wood used to build the roads or trackways across peat bogs in the `Somerset Levels’ – these were created from oak logs, and poles of Ash, Holly and Alder, plus 'wands' of Hazel and Lime; (dating from three to four thousand years BC). Rackham has associated these with the management of woodland. 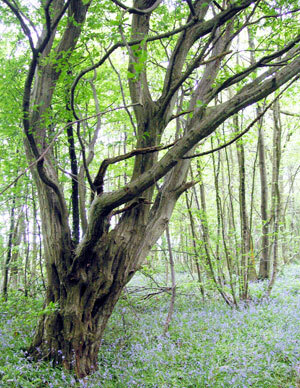 Written records of managed woodland can be found in the Domesday Book (1086 A.D.) which has references to Silva pastilis – wood for pasture, Silva minuta & modica – thought to refer to coppice, nemus ad domus – wood for the house / home. 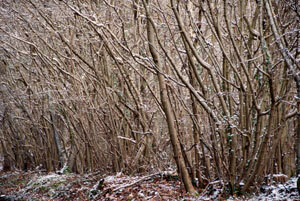 Coppiced woods from this period often had large boundary banks and a ditch to keep out wandering deer and cattle. Other areas of woodland were managed for animals (cows, pigs, deer) – Wood Pasture. In this, animals could graze on the grass and herb layer, browse the lower branches for leaves/young shoots and forage for acorns and beech mast (in season). The effect of this was to discourage regeneration. 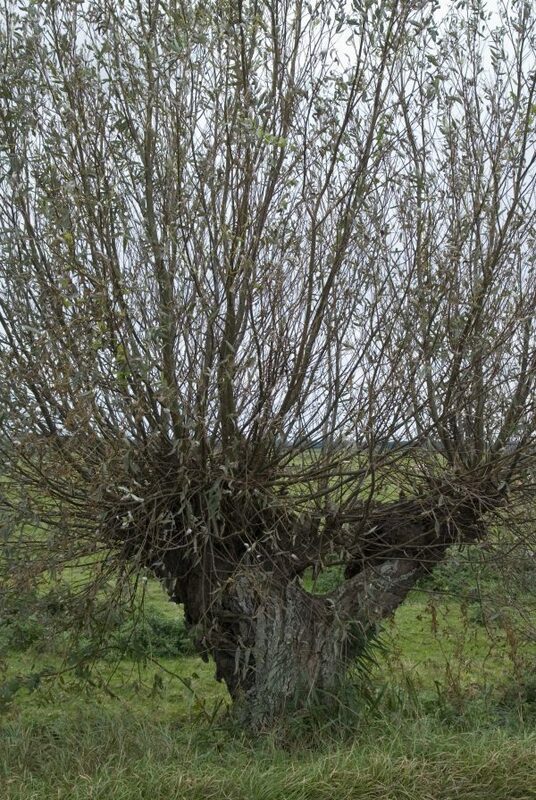 Such areas were often pollarded – that is the branches were lopped/cut some 6 to 10 feet from the ground and allow to grow on for some years – giving firewood or rough timber. Pollarding increased the life span of the trees - as they were less likely to suffer wind damage or to topple over. Wood pasture tended to preserve older/ancient, or even veteran, trees and the associated plant and animal communities (e.g. lichens); whereas coppice & coppicing help maintain the ground flora (herb layer) and shrubs and their associated birds and fauna (butterflies and moths etc. ).